It’s often quite painful when a blind spot is exposed to us. In fact, it can be grievous. But once it’s been exposed and dealt with, the result can be quite life changing. In this week’s Gospel reading, Jesus lovingly exposes a blind spot in an exceptionally successful, powerful, and moral young man—just one thing that’s holding him back (though admittedly, it’s a big one). But sadly, while its exposure grieves him, it doesn’t quite change him. Get the word out about this wonderful monthly event: Share on facebook and invite your friends! Second Sunday Sandwiches: November 11. Vestry Meeting: 12:30pm October 14. Service Day - Yard Work & Lunch: Saturday October 20 9am-1pm. Sign up. May have spoken too soon. Monday morning I read this week’s Gospel. don’t really want to preach this sermon...and I’m betting you don’t really want to hear it. 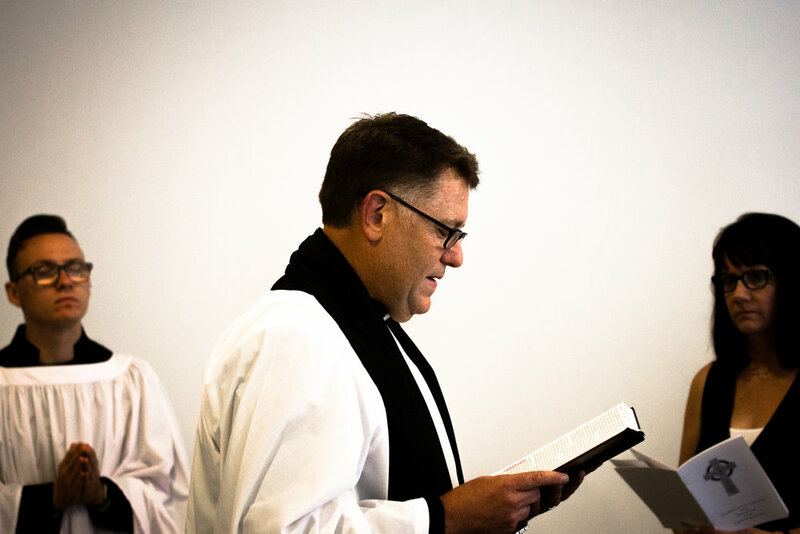 We’re seeking nominations for one new member of Redeemer’s Vestry. According to our bylaws, the Vestry, along with the Rector, is responsible for the “temporal management and operation of this Congregation.” Vestry meetings are held the second Sunday of each month 12:30-2:30 PM, and members serve a three- year term (this one to begin 1/13/19). Nominees should be baptized Christians who regularly attend worship and are seeking Redeemer’s flourishing by the investment their time, talent, and treasure. This Sunday we will gather after worship to share a meal. It’s Redeemer’s 5th Sunday Potluck, and I hope you can join us. Tableware and bottled water will be provided. If you’d like something grapier, feel free to bring a bottle to share. Please sign up to bring a main dish AND a side dish or dessert here. You can easily register for either or both of these events here. In this week’s Gospel reading, Jesus seemingly offers a fairly extreme way to avoid wrongdoing. Apparently, if you sufficiently dismember yourself, you won’t be able to take any wrong action. This is, at least, the logic by which Jesus reduces the righteousness of the scribes and Pharisees to the absurd. In their view, the law could be satisfied, and thus goodness attained, if you simply avoided sinning. You’re “right” if you’ve done nothing “wrong.” You could keep from sinning if you simply eliminated the bodily parts that make sinful actions possible. You’d stay out of hell, but you’d roll into heaven a mutilated stump. I know this to be true, and that’s why I don’t like it. Candidly, this is not the God I wanted. But I’m not alone. This is revealed in the answer to a pointed question Jesus asked in this week’s Gospel reading. It’s not the God Peter wanted either...but it is the God that is. And the God that is is so much better. Thursday Evensong: 6:30pm at 126a Main Street (Above Kilwin's Ice Cream). Email Ian. Fifth Sunday Potlucks: September 30. This Sunday we will again make 100 lunches to be distributed by Light House Homelessness Prevention Center. This is a great event to invite friends, and you should let them know that we start at 11:30am. It’s thought to be a somewhat playful—though on the surface very insulting—conversation in which a desperate Syrophoenician woman responds to Jesus’ comment to her with wit and charm. And Jesus, whose character is always to have mercy, honors her request. Despite the outcome, this story is a sharp reminder to us that Jesus wasn’t simply called to go around being helpful to everyone. He had specific (and controversial) things to do and a limited time to do them. Children from 4th-6th grade are invited to help prepare for Second Sunday Sandwiches by making greetings cards and decorating the lunch bags during the Sermon. This Sunday we we pray in our Collect for the week that God would 'increase in us true religion'. In so doing we admit that our ability to do and be the kinds of people God desires is not possible in our strength. We are also confronted by the hope that with God's help, these things are indeed possible. Why? Because he has put it in our hearts to love him when we did not even love ourselves, and because of this we can expect to see ourselves become exactly the fruitful people he desires. This is all God's work, and it becomes ours when we humble ourselves and pray. We have prepared this simple form to collect any questions which may have crossed your mind about our Sunday services and the liturgy we use. No limits and we don't even ask for your name! From the ongoing sexual abuse scandal once again rocking the Roman Catholic Church, forcing the resignation of Cardinal McCarrick; to the sexual abuse scandal at the prominent and influential Willow Creek Community Church, ousting Bill Hybels, his two pastoral successors, and the entire Board of Elders. While Lauren and I were travelling earlier this week, the top story in the local news was of a parish Priest who’d stolen more than a quarter million dollars from his predominately poor congregation. 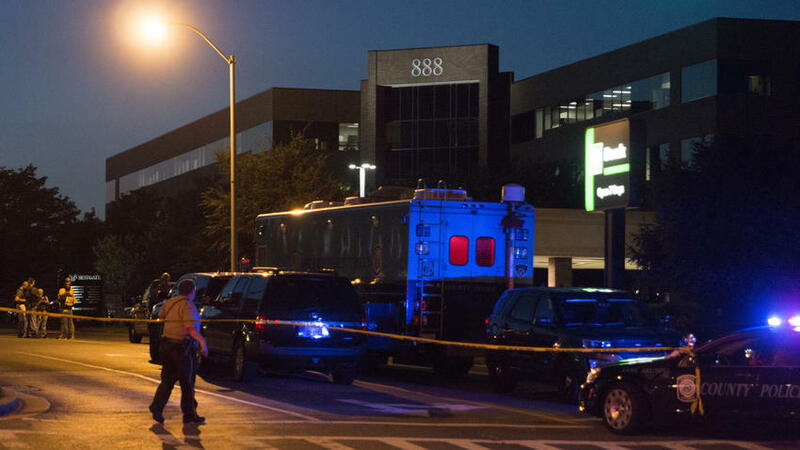 The angry, impassioned—and justifiable—responses of heartbroken and disillusioned parishioners have been really hard to see. In a lot of ways, many are asking the very question the Apostle Peter asked (and answered!) in this week’s Gospel reading. 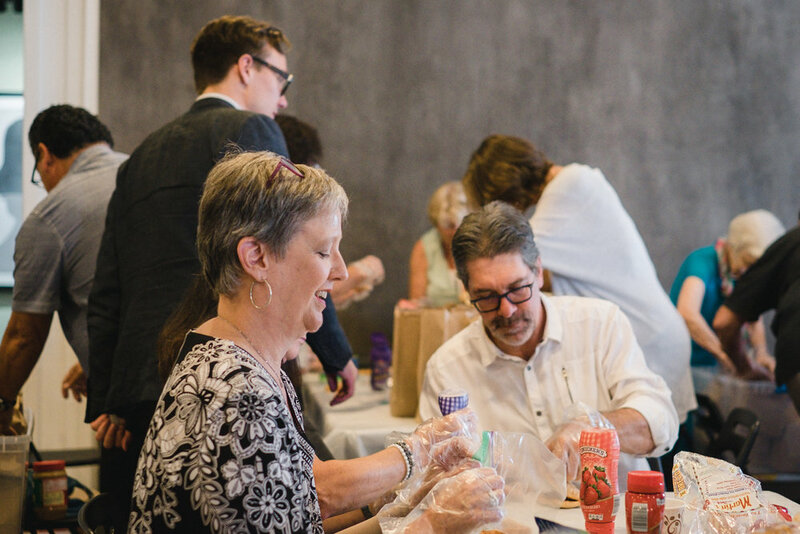 I am so grateful for the way we have eagerly and passionately taken up the call to serve our neighbors by preparing lunches each month. We are getting pretty good at it too! Join us for another Second Sunday Sandwiches this week. Friends are always welcome to come by and help and you can let them know by sharing the event on Facebook. I met an old friend for coffee last week, and he said something that saddened me. Mind you, this guy’s a veteran seminary professor, and the Executive Vice President of one of the largest Evangelical ministries in the US, if not the world. Vestry Meeting: 12:30pm August 12. Second Sunday Sandwiches: THIS SUNDAY August 12, September 9, October 14. Ian's Licensing Service: THIS SUNDAY August 12. 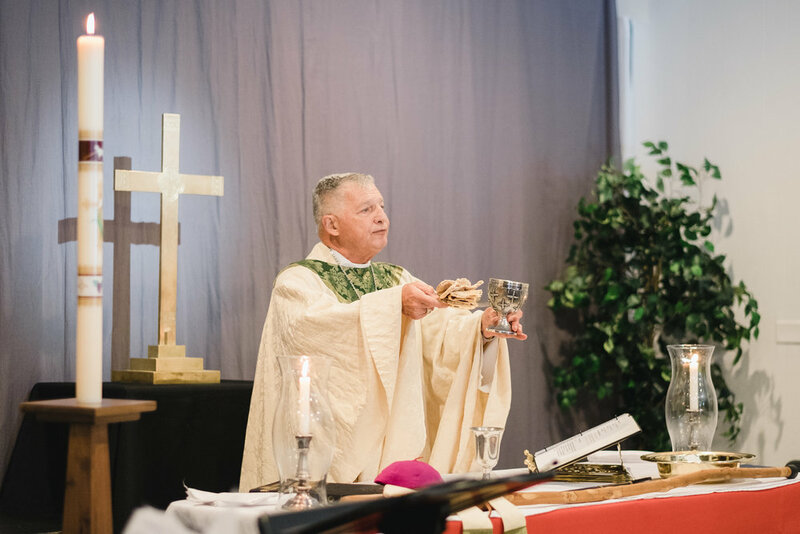 Bishop Julian will license Ian to Lay Eucharistic Ministry in the Diocese of CANA East. Some people might say they are 'spiritual but not religious'. I am under no illusions: I am certainly 'religious but not spiritual'. My countenance toward prayer and love hinges on my stomach. If I am satisfied I find love easy. When I am hungry, physically or otherwise, I do not love nearly so patiently. Being religious, I at least have a sense of when and how I should pray at a given time of the day or occasion. Such a discipline also gives me a moment when I can remember that if I set aside my desires, just for a minute or two, I can be open to something more wondrous. God has seen our impatient faith many times, on the way out of Egypt and beyond. The people of God tend to do as they are called when they know their faithfulness may fill their stomachs, not because it is right or something. Jesus knows. And he is kind. Second Sunday Sandwiches: NEXT SUNDAY August 12, September 9, October 14. Ian's Licensing Service: NEXT SUNDAY August 12. Bishop Julian will license Ian to Lay Eucharistic Ministry in the Diocese of CANA East. Hope you’re planning to join us as we share a meal and some great conversation and laughter together the last Sunday of July (July 29). Please follow this link to sign up for a main dish and either a side dish or dessert. We’ll provide bottled water and table service. If you’d like something else to drink—soft drinks, wine, etc.—feel free to bring some to share. Fifth Sunday Potlucks: July 29; September 30. Sign up for July. Second Sunday Sandwiches: August 12, September 9, October 14. Ian's Licensing Service: August 12. Bishop Julian will license Ian to Lay Ministry in the Diocese of CANA East. The textual and historical context tells us this is about something radically different: a revolution. Only one that’s totally unexpected, based on a shocking revolutionary act, and led by impossibly unqualified revolutionaries. Christians have always sought to find appropriate and helpful ways to organize themselves and their worship. We seek to hear God’s voice from Scripture and share the spiritual food offered from his Table. In our worship patterns we also memorize prayers, postures, and we learn to bear with one another such that we might become always more of what God would have us be. So when it comes to joining in with God’s saving plan in the world (what we call mission), what do our Sunday Mornings have to teach us? At Redeemer we will begin a new ritual this Sunday. Second Sunday Sandwiches. 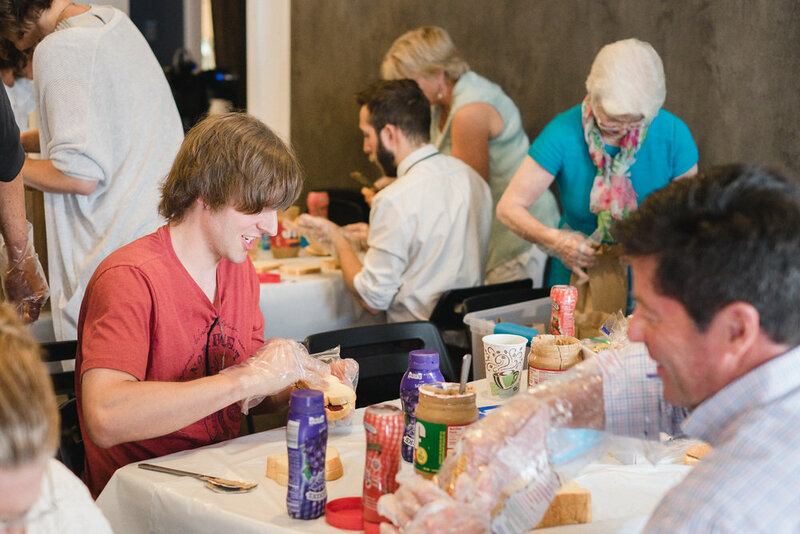 Just as our worship together seeks to be multi-generational, embedded in the Scriptures, and designed to habituate us into new ways of thinking and acting; so too will our time once per month making sandwiches which will be distributed by the Light House, a center who support the homeless. Please plan to stay for an extra hour after our service is finished. We will make the lunches and then we shall sit and eat together the very same meal we will be giving away to those who are in need. I don’t know what might be stirred in us by this consistent and committed form of service to our neighbors, but I am confident that both we and our neighbors will be blessed and drawn closer to what God would have us be. Second Sunday Sandwiches June 10, July 8, August 12. Wednesdays, 7pm at the Wisharts. Email Steve. FUTAB is Chat for “Feet Up, Take A Break.” FUTAB might be what you imagine when you hear the word Sabbath: aimless rest. Mandatory aimless rest, actually. But if that’s all you imagine, you’re falling way, way short. Because Sabbath has a definite aim.